There's this weird thing that I do all the time. In fact, every morning. You may engage in this weird habit too. My cousin does it all the time, so, maybe it isn't weird after all. Every morning, after I wake up and do whatever chore I'm supposed to do for that day, I sit down to reflect. This is not the kind of reflection you might know. In my case, I have group conversations with myself. I create invisible virtual replications of myself and discuss certain things. It is a weird sight if you are a spectator. You will think that I've run mad. I mean, it is considered abnormal for someone to talk with himself/herself, talk more of having group conversations. Well, after several considerations, I decided to jot things down instead of talking to myself. I obviously don't want to look insane in the sight of other people. I went in search of a diary. My notepad wasn't obviously doing it for me. I came across a lot of diary apps, but, one, in particular, caught my attention, and I will be telling you why it did. I feel a diary is a safe place where I can write honest things about myself, and things that matter to me, without other people's opinions. The diary isn't meant only for my reflections though, it can be used for other things. The diary is simply a book where you record events, experiences and other personal things that interest you. Technology has made it possible for us to have diaries on our mobile devices. I can remember when I was still a little boy, my dad had this stockpile of unused diaries. He didn't actually use them for what it was meant for though. He mostly used it to take notes of sermons, while in a church service. Well, physical diaries aren't so common anymore. Everyone now has virtual diaries on their smartphones and tablets, which is a great thing. It means that anywhere I am, as long as I'm with my smartphone, I can record an entry in the diary. There are several kinds of Diary you could keep, but, I won't go into those details. The essence of this article is to introduce you to a diary app, in case you are seeking to start keeping one. In case you aren't keeping one, you should try to. Dairies are very useful tools, especially if you are someone who's traumatized and can't talk to other people. It will help you clear your head, and it should make you feel better. But, that is solely dependent on how you go about it. The app I will be discussing in this article is "Easy Diary". The app work's as its name implies. I came across other diary apps, but, this one(Easy Diary) caught my attention. Its features warranted the attraction though. You will get to read about the app's amazing features in this article. In my review, I will also share my opinions about each of the app's feature. 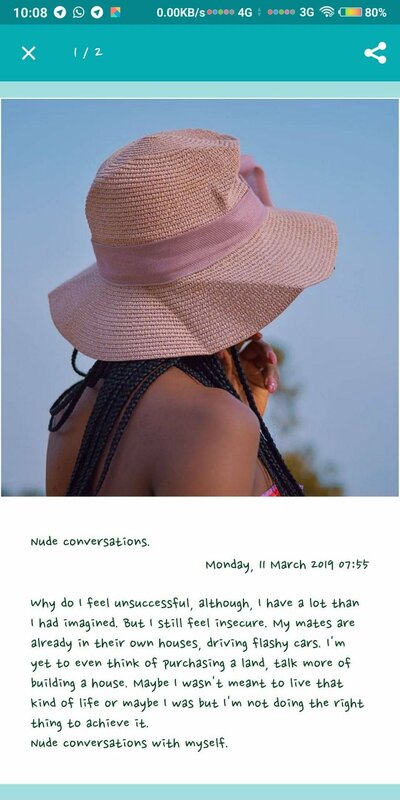 Furthermore, other topics related to the use of a diary will be discussed. Without further ado, let's review the app (Easy Diary). 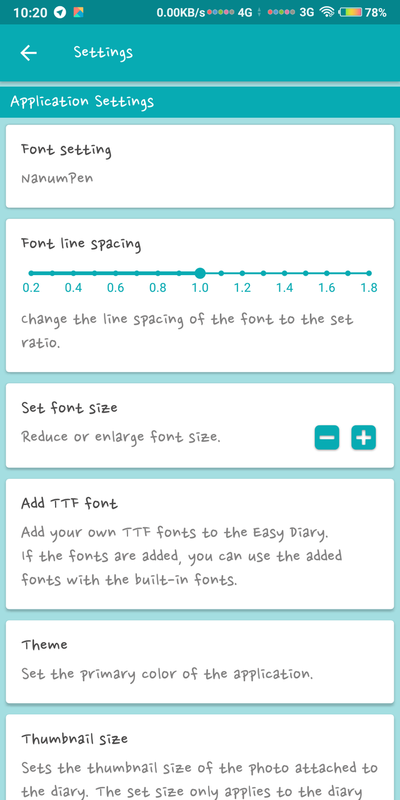 Easy Diary is an android diary application. By the name of the app, you should have known that it is a diary. According to the project owner's description, the app is optimized to give an end-user a great user experience. This is quite true because I have used the app, and I'm still using the app, and it feels good to use. Some features of the app are quite uncommon in other diary apps I checked out. The app does lack some certain things, but, it is not enough reason for it to get some stick. The overall performance of the app is great. Review of Easy Diary's functions/features. Write/Search/Read/Edit/Delete an entry on the diary. This is the basic service that the app was designed to render. What is special about this feature/function is the mode of entering the content of the diary. The app provides a means for you to write on the diary either by typing, or, with voice input. I was impressed with the fact that I could write in the diary with my voice. Aside from being impressed, I was glad that the feature was available. With the voice input, I will still be having those feelings as though I was talking to myself. I don't think I will use the voice input often, unless I'm all alone in a place. The "search" feature is vital for every software that deals with long lists of contents. This feature is vital for this app too. In the early stages of your time on the app, this feature would be redundant, but, as soon as you start making a lot of entries, you'd find it useful. "Read," on this app is not what you were actually thinking. Obviously, if you were able to write an entry, you should be able to read it. But, "read" here means that the app can actually read your entries for you. The app comes with TTS (text-to-speech) feature. This really made the app comfortable for me to use. But, I'd ideally have wanted to be able to do some customizations with this feature. It would have been great if I could change the voice texture, and also the reading speed. The reading speed is okay but, I still would have loved to be able to customize it. You are bound to make mistakes in your entries. The project owner is aware of that fact too, and that's why the edit feature is available. If you made mistakes in any of your entries, you can easily edit it at any time. It doesn't matter how long you made the entry. The delete function is likely to be used if you don't wish to edit an entry. You can delete an entry anytime you wish. There are no restrictions. I really didn't see the importance of having a chat on this app. But, charts are always good for statistics, so, maybe it isn't a bad thing to have after all. 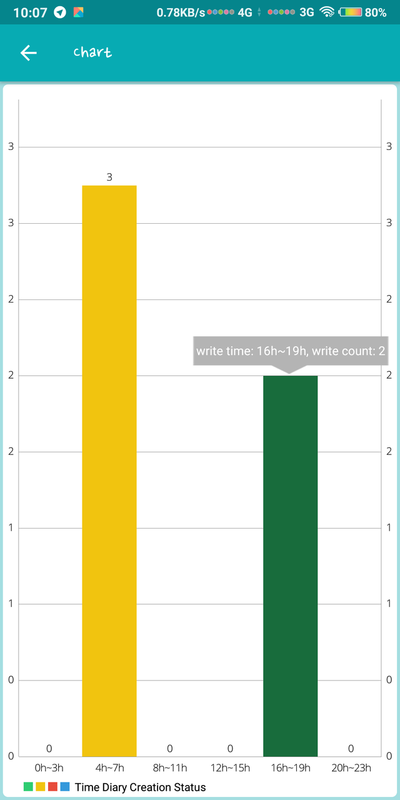 According to the description of the chart on the app, the graph shows "Time Diary creation status". What this simply means is that; the chart shows the timeframe in which you wrote in the diary, and how many entries you made within that timeframe. Diary postcard or Diary card. This feature lets you turn your diary entry into a postcard. You can share it to your friends, or, upload it on your social media accounts. The card would look better if you attach a photograph to it. You can also customize the colours of the card. You can adjust font size, font colour, background colour. This feature is pretty sleek. In the latest version of the software, which I'm currently using, you can add filters to the images you attached to the diary. This is the fastest way to navigate through your entries according to the date you created them. Like the search feature, this one would also be redundant in your early stages of the app's use. But, as soon as you get up to 50 entries on the diary, you'd definitely use the calendar. When you check on a date, the calendar tells you if you made any entry that day or not. If you are serious about keeping a diary, then you wouldn't want to lose it. That's why the developer added this feature. You can back up the diary on google drive. I like the fact that google drive was used instead of a local backup. If the backup was done on your local storage, it means that you will still be vulnerable to data loss. Either by a means of your phone getting stolen, missing, or, spoilt. But, with google drive, you can always recover the file anytime, or, anywhere. This feature was included in the latest version of the app. It is really cool. You can view the content of your diary using Microsoft Excel software. I don't have Microsoft suite installed on my laptop or phone, but, I will try it out later. The app is laced with a security system, which is quite important in every app these days. Most times, we don't want people to get into our phones, they could wander off to private places. But, with a security system placed on your apps, their actions are restricted. The diary is certainly a place I wouldn't want anyone to get into because most of the content would definitely be private. The app uses a dual security system. You can protect the app with a pin code or your fingerprint. The fingerprint feature on the app is still in its beta stages, so you might experience some issues while using it. It worked perfectly on my device though. My review of an app wouldn't really be complete without talking about the app's UI. The user interface of the app is great, but it is the fact that I could do a lot of customizations that made me like the app even more. There are a lot of things you can customize on the app. You can customize the font size, font spacing, add custom fonts, colour schemes, thumbnail size, card view optimization, etc. Among the list of things I can customize, I liked the fact that I could add my own fonts to the app. This is something I have been yearning for on other apps. I'm lucky to have it on this app. So, I promised that I was going to talk about other things related to a Diary, but, I won't be able to do that anymore. It would make this article too lengthy. What I would do is; share a link where you can read up the things I wanted to write about. The topic I wanted to discuss is; Why you should keep a Diary. It would be pointless to talk about an app and not tell you why you need to use it. There are many reasons why you should keep a Diary. In my introduction, I explained why I needed to keep one. You could decide to keep one for some other reasons than that. But if you are unsure of why you need to keep a diary, this article will guide you. You can also check out other articles on the internet if you wish. The link I just shared, the article aligns with my own ideas, that's why I shared that one. 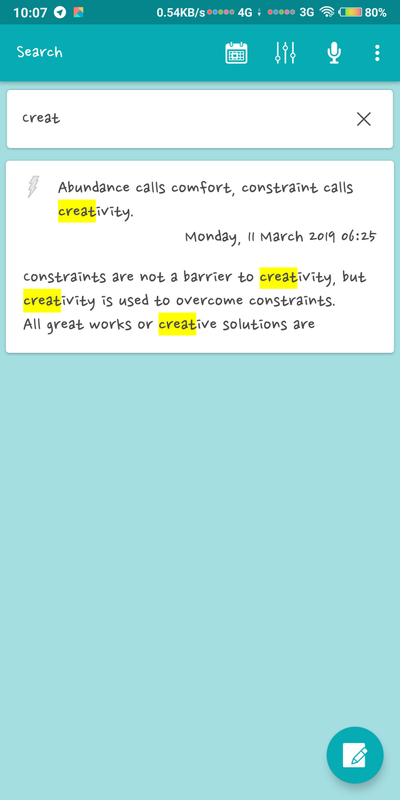 In this article, I have been able to review "Easy Diary", which is a diary application. From my review of the app's features, you can see why the app is the perfect app to use if you are seeking to start writing a diary. The app lacks some other minor features which I would have loved to see but, we can't always get what we want. I plan to make suggestions to the project owner on areas where the app can be improved. He's actively working on the app to ensure the user experience is great. I've contributed to the project by creating some essential documents for it, I also informed the project owner that I will be making feature requests, and he was excited about it. Hopefully, we'd get to see those features implemented in the next release of the app. The content of this post was created based on my knowledge of the project, and mostly from my experience. The images used are screenshots of the platform on my device. Other images gotten elsewhere have their source links provided just below them. This is the first post of this series. This series will see me discuss further developments that will be done on this project. The project owner is very active, and I'm sure we'd get to see new releases often. Hi Harry, and thank you for your contribution. This post is quite extensive, well-structured and informative. The project looks attractive. I like the app UI and the dairy search feature. I might consider it. On the content side, you did great. You provided some in-depth details, including your experiences and thought. However, excessive and wordy texts make reading a little bit hard. Especially, the repetition of similar words. Lastly, the post had grammar issues. There are omissions, punctuation and incomplete sentences. I'll cite a few examples. You joined two independent clauses with a comma. The right punctuation should be ;it -,and it or a period. Also, talking about clear writing, your texts contain some long-winded sentences. I obviously don't want to look insane in the sight of other people. I don't want to look insane in the sight of other people. Sounds better. If you want your readers to enjoy your publication, make it easy for them. Thanks for your review @tykee. However, I'm quite concerned about two answers from the questionnaire. Firstly, you said this post was created with information gathered from other sources which is very wrong. I don't think there's any other article about this software than this one I've written. The other part of the content which discussed a general issue, I really didn't say much and I cited the article in my post. Furthermore, you said I did a comparison in this post when actually I didn't. I only reviewed the latest features of the app. I think the correct answer there should be something about recent events 2 weeks or something like that. The last answer I picked was a mistake. I guess my PC caused that, and I will fix it asap. The right answer should be 'None of these topics are discussed in the post.' I don't think there is anywhere you specified, that you are reviewing the latest features in the app. The post looks like a general app review. I do not think the content deserves to be scored as 'The author offers some valuable insights about the project.' We'll have the new questionnaire in a couple of days, and there won't be issues like these again. I didn't know I had to explicitly say I was reviewing the latest version of the software. The new version of the app saw some new features added and I talked about them in my review. You just got a 9.09% upvote from SteemPlus!